Have you ever had someone come into your life that probably gives you more than you could ever give them? That is what it is like with my very special gift from God. This is my special angel. I used to sing her that song when she was younger, well, I still do. "you are my special angel, sent from heaven above." My Special angel cannot talk. She cannot dress herself. She has numerous disabilities but she is my joy. This beautiful young lady loves so unconditionally. I know where I can ALWAYS get a hug! It is a joy to have her in my life. Each of our family is blessed by her presence in our lives. On the wings of prayer our burdens take flight - our load of care becomes bearably light. Beat eggs until thick and foamy. Add oil gradually. Add other ingredients gradually, adding sour cream last. Line muffin tins with muffin cups. (For standard muffin cup pour in 1/3 cup batter – for larger cups use more.) 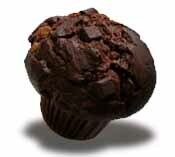 Note: if muffin cups are filled more than 3/4, muffins will have flat, tops. Bake in preheated oven at 400°F (200°C) for 20 to 25 minutes or until toothpick inserted in center comes out clean. Cool 1 minute; remove from pan. Serve warm or at room temperature. Add a bit of cherry pie filling to the center of each muffin before cooking. Top with whipped cream. I am going to get organized and STAY there! OK, I admit it. I don't have the most organized home in the world. I can be a leader and organize groups in having a bazaar, in community activities. When my kids were home, I could get them to their activities and appointments, our church activities and manage to do what needed to be done for the day. But when it comes to home.... well, let's say that I am collecting the pictures to prove it! lol And most of the disorganization comes from not having created a place to keep it! Believe me I am changing that. THROW out what isn't truly needed (declutter), create a place for everything and label!!!! So I am taking a very exciting challenge. The Organising Queens August Declutter Challenge! Hop over and check out The Organising Queen's blog! I am sure that there is something for everyone there, from those of you with little clutter to those of you with lots of clutter! Maybe some of my crafting friends would like to take the challenge!!! A local radio station (KMPS) personality, has this question as their signature question. Whenever they do an interview they always ask this question and then try to relate that to this person in the present. 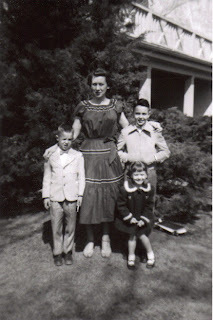 This is a picture of my mom, my two brothers and me in front of our duplex in Lincoln, Nebraska in early 1954. I remember living in this home. I believe that my first memory is of being put to bed for my afternoon nap, which I didn't want to take! I wiggled and I squirmed and I gazed out the window and when I thought I had been up there long enough to have taken a nap (remember that I can't tell time yet!) I walked down the stairs ALL smiles. Mom was in the living room ironing. Yes, Mommy, I am awake from my nap. Did you sleep? Yes, mommy! LOL... I got to stay up but I didn't fool her one little bit! I remember cutting my hand on the glass from the door of the adjoining duplex. I remember being the flower girl for that same neighbor's daughter's wedding. I remember that we got locked out of the house and dad had to break a window in the garage to get into the house. I do remember being in my best friend's entry next door and seeing her grandma's sitting there, thinking that I was in the wrong house! (we often just walked into each other's homes!!!!) I remember the stone steps in front of this house. However, I do not remember falling down those steps, which created a permanent bump in my upper lip. I remember that a couple blocks down the street had islands in the middle of the streets with big trees. If the radio station heard that first memory, they would probably say I was eager to participate in the world! That was probably true. I was eager to get out and enjoy the world! What is the earliest childhood memory that you can recall? But that wasn't ALL that I did today! I told you that I have been organizing my house! Well, part of organizing is also adorning things as you would like! So, today I made the altered pens! I made one bucket for next to the phone in the kitchen, one bucket for my desk at work (Yes, I am reorganizing there too!) and one for a gift!. I am very pleased with how they turned out. And, yes, it was easy. Whew, I am done for the day. lol. The green one turned out so cute! It has dinasaur ribbon on it. It is for my 6 year old grandson. The blue one next is for my 11 year old granddaughter. Next pic, the light blue one is for my granddaughter. The ribbon is 1 1/2 inch ribbon. I had made one up with this and didn't like it. I made up a second one and zigzag stitched 2 lengths together, making it 3" wide. This worked out just fine! The dark blue one is for my stepgranddaughter. The 2 bottom ones are more cartoon character ones. Tweety bird and bugs bunny. :) This truly is a quick and easy project. 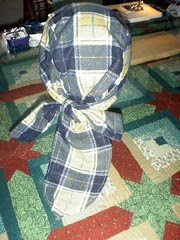 :) If you click on the pics, it will enlarge the pic and you can see more detail in the ribbon. 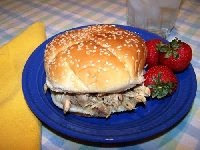 It is funny to me how the simplest of foods and recipes can be so good. This is such an easy recipe! The latest edition of Fine Cooking had instructions for making these potatoes. 425º until they are crispy, about half an hour or so. freshly ground pepper, and crunchy coarse sea salt. The potatoes in this picture were topped with some parmesan and cheddar cheese about 10 minutes before taking out of the oven. This is one of our favorite salads. Perfectly Nummy!!! Make at least 2 hours in advance to allow flavors to meld. 1 Place bacon in a large, deep skillet. Cook over medium high heat until evenly brown. Drain, and crumble. 2 In a large bowl, combine broccoli, cheese, bacon and onion. 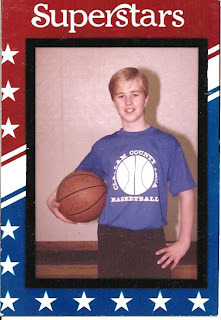 This is my youngest son when he was 11 years old and playing "Y" basketball. He is 29 years old now, married to a very sweet girl and has 3 of the sweetest children. :) I just love these "All Star" cards that they made up for the kids on the team. And it brings back fun memories. I used to love going and watching him play. I miss that!!! A LOT! It may be hectic when the kids are younger, going here and there, but it is a phase in life that ends all too soon! This pic by the way will make a great page in a scrapbook but right now it is a wonderful scrapbook page in my memories. Here are 2 of the beach bags (click on the picture to get a larger view that will show more detail.) that I just finished. I had difficulty finding the 2 1/4 " ribbon at our local JoAnn's, so I purchased some online. I made up 1 bag (blue not shown) with 1 1/2" ribbon and I was not happy with it. I think I will just keep it for a storage bag in my craft room. The lavender one here is for 6 year old granddaughter. The blue with the tweety bird ribbon is for one of my grandsons. They do make up very easy. To lay the ribbon out, I used my large cutting mat so that I could keep the ribbon centered and tried to have an equal amount at each end. Now I am having trouble finding enough purse handles! That also seems to be the most expensive part of the bags also. I am going on an internet search for those to see if I can find them online also. I have a clear plastic one that I am going to put on the bag I am making for a friend but that one was $9.99!! Yikes! And I think I like that one best! haha. I used an oval bamboo handle on the lavendar bag, I think that I am going to change that out and stick with the 6" circle. When I finish that friend's bag I will post it also. UPDATE: Here are two more! the black one for my friend and the pink for another granddaughter. Click on pic for more detail. Here is another cute and fun idea. This would be nice sent to a sick friend! A cup of cocoa could also be put in the little pocket. Not a stamper? Well, you don't have to follow exactly just use this as a guide and add a sticker to adorn the front. Thanks to Dawn Griffith for this great video tutorial! I am so excited about this one. This is a water bottle with an individual "On The Go" drink mix attached. In September, I am planning a special day learning a craft with my daughters and daughters in laws. When I saw this I knew that I have to make this for that day and give one to each daughter at the table. Won't this be great on the table at each place with their packets of directions and goodies? This will really add to the fun of the day! 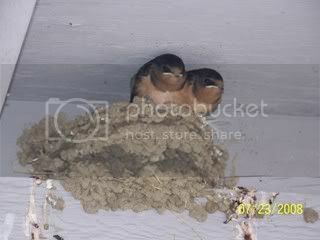 These little cuties are above the garage at our neighbors. There are actually 4 but 2 must have been out for flight lessons when I snapped these. Mom and dad weren't far, though, as they made a fuss with me being around. :) Just wanted to share as they are so cute! Messy, though!! This is a wonderful idea for any mix. I also can see survivor kits being packaged up this way. Click on the arrow above to view the turorial. Here are 2 sets of the 4x4 tile coasters that I made for gifts. The first set is a set of 6 pansies for my girlfriend. The set below is 2 each of 3 designs of coffee cups for my daughter that has cafe type decor for her kitchen. If you click on the picture, it will enlarge the picture so that you can see more detail of the graphics. I am really happy with them. My graphics are from pccrafter.com. I love their graphics. I chose the design that I wanted (I don't know how to create my designs yet from the graphics). I copied it over to Word and sized it to just under 4" square. I then copied and pasted the correct size, 2 to 2 a sheet and printed out on clear 8x11 sticker paper. Next, I sprayed each sheet with sealer so that the ink would not bleed. After that dried, I cut them out and applied each one to the tiles, eyeballing centering it. I would do a little more care next time to make sure that I didn't have any bubbles. Next step is to Modge Podge the edges and the top. I used a foam paint brush that I found at the Dollar Tree - 10 foam brushes to a bag! You can do one or 2 layers. When this dries apply 3/8" felt circles to the bottom at each corner to protect your furniture. This was so easy and I love the results!!!! I was told that Modge Podge was waterproof, but the bottle said that it is waterbased, so I am doing some checking there. I may have to apply a coat of something else if this isn't waterproof. If I do I will let you know. I have 2 more sets to finish and will post pictures when they are done. My granddaughter and I watched this Martha Stewart segment last night on TV and we both agreed that this was cute and something all the grandkids would love. So guess what I am going to have to make next? 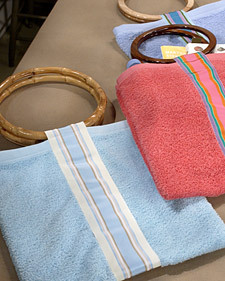 Yep, these darling hand towel beach bags! I found some towels at Walmart for $2 each. I think they would work just fine. Had to share as these sewed up easily and the handle removes for easy washing. Click here for the instructions. My friend is going to Hawaii in October. She just might like one of these too! It isn't the Destination, it is the journey along the way. Do you know what this picture is? It is my spice cabinet - taken 5 minutes ago. I should have taken a before picture! (I know this started out as a craft blog and believe me I am all about crafts. We will continue there too! Harley riders have a saying - "It isn't the destination. It is the journey along the way." When we ride we don't take the fastest route, we take the most scenic, fascinating road we can take. I hope this is the journey for my blog. It is me - even at 50+ transforming like a butterfly and taking my friends and family with me! ) So back to my cupboard. It was a mess! and I could never find anything. My friend came over a while back and needed a Tablespoon of something. I was embarrassed to even open up the cupboard and try to find it! haha. Fortunately that time I found it right off the bat! By the way, her mother in law sells Tupperware. What do you think she has organizing HER cupboards?!!! lol I have been a little tired in my journey. Tired of the mess in the cupboards. Tired of the mess in my craft room (affectionately called the "crap" room by my dgd and I - and DH has put up a sign "Condemned by management!") Tired of the pile and mess here at the computer. Tired of hanging on to things because I don't want to throw them out!!! So I am taking a new journey with the Good Lord's help and getting this place organized. I have been enjoying reading some tips on organizing and I am ready to put things back together. (Believe me before we moved into this house things were much more organized! ) So dgd and I took a trip to the $ store today in a hunt for these storage trays. Guess what? They didn't have any!!!! So decided to tackle Walmart even though I don't like going there unless it is early in the morning. (I am not typical - I don't like shopping) And what a bargain I found there! the smallest size was 4 for $.75, the narrow size was 3 for $.75 and 2 for $.75. I was delighted! Stored up on them because I am going to be organizing my drawers, my cupboards everything. So home it was to work on my spice cabinet. I hate telling you that I found outdated spices, duplicates (which if they weren't outdated I put in a sack to send home with dgd for her mom.) What I had in there was a LOT. What I put back in there was less but it does take up a bit more room, however, I can FIND things! I am going to have my grand- daughter print up some labels to put on the storage trays so that I know which one to grab. So that is part of my journey today. I am going to work in the office a bit and then I want to get back to those 4X4 tile coasters so that I can share those with you! This sewing pattern has two purposes for me. It is well received from friends that are going thru chemo. A great chemo cap and a lot of our Harley riding friends wear these under their helmets. I like that the tails are a little longer than the premade doo rags. The joy to me is finding the fun fabrics that I like! Click here for a very well written tutorial. Anyone who knows me, knows that I love, No, REALLY LOVE popcorn! 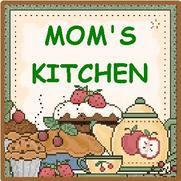 lol Here is a site I would like to share that has ALL kinds of nummy recipes with popcorn. Enjoy! Click here for popcorn recipes. Any of these would make a great inexpensive gift at Christmas or anytime! A very influential person in my life! This lady is one of the dearest persons that I remember in my life. This is Miss Sada Carr, my first grade teacher at Randolf Elementary in Lincoln, Nebraska. I just loved this woman. She was a kind and gentle teacher that loving taught her students. She retired the year that we graduated from her class. My mom had each of the students outline their hand on a sheet along the border, print our names and she sealed it and made it into a table cloth. I sent Miss Carr a Christmas card every year and let her know what was going on in my life. Usually I heard back from her until finally there was no more. I wish all teachers could be like Miss Carr. She truly was a very caring teacher. First grade can be such an important time because you need a teacher that helps set your standards and expectations in school. I am working on some 4x4 tiles for gifts. 4 birthdays to be exact. I have the images printed out, cut and adhered to the tiles. Tonight and this weekend, I need to find the time to modge podge them and put the felt feet on the back. When I finish I will post some pictures. I am VERY please with them so far. The tiles were only 14 cents a piece at Lowes! My graphics are from pccrafter.com, which I just LOVE. My granddaughter spent the night with me last night and is at work with me today. So over the weekend, we are going to find time to do some organizing, some crafting and on Sunday take in a movie together. This is the only picture (and it is only a photocopy at that) that I have of my grandfather. 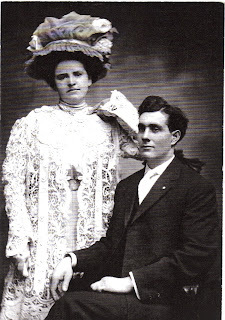 This is Rose Ella Graham and John Casper Douglas the first on their wedding day. Yep, he was the first. My dad never told me that he was II ! I think it might have been because he idolized his father so much and maybe he felt he didn't measure up. He spoke so fondly of my grandfather. Grandfather came to America from Ireland. He became an orphan, I know not how. He was born John Delaney. He was adopted by the Douglas family when he was 7 years old. I don't know the story again and I so wish I did, but he left home when he was 16 and from what I remember dad saying he never went home again. Dad never knew his paternal grandparents. He ended up in St. Louis and married my grandmother. They had 4 children, 2 boys and 2 girls. I don't know if they lost any. Grandfather passed away when he was 46 years old. Dad said of some blood disorder. When daddy was diagnosed with Acute Leukemia in 1987, he wondered if that was the disease that took his dad. Daddy said that grandpa was a very kind man. If you had done something wrong, he would punish you, but if you were ever wrongly accused of anything, he stood beside you and went to bat for you. Perhaps that part of him came from not having the best childhood. I wish I had known my grandfather. I also wish that I had dad write down his memories of him. I will be thankful for what I do know! Can you miss someone you didn't know? The answer for me is, YES! I wish I could have known this fine man. I wish that I could have sat on his lap, held his hand while he took me for a walk, heard his voice as he gave thanks for our supper, and felt his arms around me giving me a loving hug! My granddaughter was named Delanie in remembrance of my grandfather. I love that and I know that if my daddy were alive, he would be so pleased with that also. This is very good. It is very easy and it isn't deep fried! lol Enjoy! Spray a baking sheet with no stick cooking spray. Cut chicken into 1/2 inch strips. Combine mayo, milk in a large bowl. Place tortilla chips and taco seasoning in zip lock baggie, crush chips into medium size crumbs. Pour chip mix into a medium size bowl. Coat chicken strips in mayo mixture, then in the crushed tortilla chips. Place on baking sheet, be sure to not overlap. Bake until just browned and chicken is cooked through about 10-12 minutes. Serve with sour cream and salsa. I think this is a great alternative to fried chicken strips. One my grandchildren would enjoy! 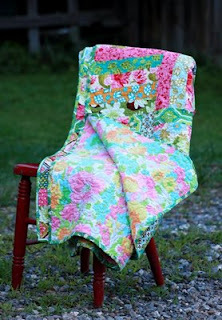 Win this quilt! But hurry ends July 23, 2008! This is a beautiful quilt! The Old Red Barn is doing a random drawing. Click here for details! I am so HONORED! Thank you, Crafty Sue! I am so excited! 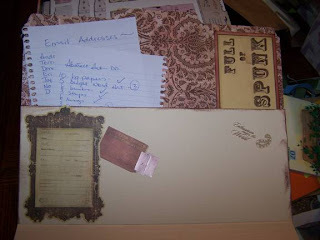 Crafty Sue of Crafty Sue's Blogspot has awarded me with these awards for my blog! I know this crafting friend from the Craftsayings message board where she has shared many ideas and helped many a poster with poems and crafts and ideas! Thank you, I truly feel blessed to be given these awards! Part of the joys of receiving these awards is to pass them on to someone else, so that is my next step! I want to honor my friend Connie at Boondock Babble, a stay at home mom who homeschools and is involved in crafts and gardening and making every life experience a lesson for her kids! I love reading her blog and her writing often makes me feel like I am right there along with her in the experience. I would also like to nominate Skylar Clark's Baby Blog , when you visit, you will know why. It is just precious! I do not know this family. I actually found this blog by clicking on the NEXT BLOG button at the top of the page! However, I am impressed with this young family and their desire to raise their children in a God centered home! Patty at Gifts that Say Wow you, too! I enjoy your blog with a variety of gifts and fresh ideas! And last but certainly not least is Lori Jean of Happy Bird's Crafting Haven. Lori Jean has been an inspiration to me for a long while on the craftsayings board and as we got to know one another. She really inspired me thru her blog to create my own! She always has crafty ideas for affordable gift giving, a helping hand and a heart of gold. I am happy to call Lori Jean my friend and sister in Christ. and last but not least send a message to the nominated bloggers to let them know they have received these awards and explain they can grant these awards to other bloggers as long as they follow these rules. Again, I just want to say thank you to Crafty Sue for feeling that my blog was worthy of this award!!! And to those that are the recipients of the award through me, I appreciate our bonds that make us viritual friends! I am forever printing out recipes, craft ideas and other goodies from the internet. You know that recipe that you want to put in your to try pile and the craft that you want to do. Then comes the time that you want to make it and, uh-oh... can't find it! That's if you remember it! lol This is a very pretty way to file these projects/recipes and keep close to hand. I can keep this out on the kitchen counter and not feel like it is clutter. I am sure you will find lots of ideas for this too. Click here for tutorial. I had to share this. First of all it is cute and fun. Second of all, it brought back some memories of living in Nebraska! lol In the summer, I bet I caught fireflies every night! I would put them in a jar with dirt and some grass and punced holes in the lid. The jar would then be placed on my second story window sill to watch as I drifted off to sleep. Mom would come in after I fell asleep and let them go so they wouldn't die. We don't have fireflies in Washington state. And secretly, I do miss that! This is a great thing to do with one of your children or grandchildren. Click here for the tutorial. 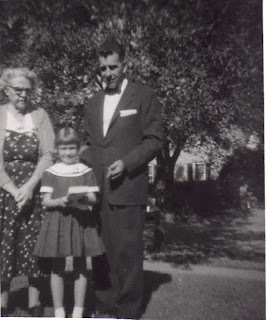 This is me with my dad and my grandmother, his mom, Rose Graham Douglas King. My girlfriend, Colleen, who lived next door had both her grandmothers living close and they visited often. Mom tells me that when we would go to the store and I would see a gray haired lady, I would ask "Is that my grandma?" There was nothing shy about me in those days what so ever! I never knew my grandma well. My cousin and my daughter have done some geneology and from what they have uncovered, I do not believe that grandma had an easy life. Unbeknownst to us, Grandma was one quarter Native American! I don't even know if my dad knew that! In her days of growing up, I don't think that was always an easy heritage to have. She lost my grandpa when he was in his early forties, leaving her with one daughter still at home to raise. So I never knew my paternal grandfather, only the wonderful things that my dad had to say about him. I only remember seeing my grandma a few times, the last time when we took a train ride to visit her in Galesburg, Illinois, before moving from Lincoln to Olympia. I think that I spent most of my time with my Aunt Rosemary and helped her bake cookies. I really enjoyed that time. Grandma wasn't a touchy, feely grandma. I really don't even remember seeing her smile. I never received a letter or a card from her. And I do believe that she was a very stern woman who spoke her mind. What I do remember though is seeing grandma reading her Bible. She was a Southern Baptist. Whether grandma always showed compassion or not, really doesn't concern me at this point. 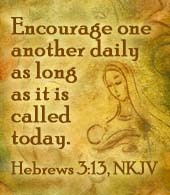 Even if grandma wasn't the most affectionate person, I do believe that she prayed for me and it is more than likely in part because of those prayers that I did come to know Christ. 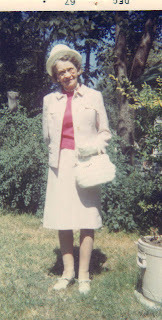 Grandma passed away on July 4, 1970. I was expecting my first baby and we were at the ocean clam digging that weekend. I will see my grandma again! And she will be a new creation and you know what? So will I! I am sure that grandma tried her best. They don't make 'em like this anymore!! Wonder how they would modernize a make over of this movie and which actors they would use. I know this. It would NEVER be as good as the original!! This chicken is really, really good. I make it with chicken pieces or with just breasts and usually skinless, boneless. I use 2 chipotles as my husband doesn't like really hot spicy and now this is one of his favorites! I will say that the spicy grows - the next day it is spicier! Very good flavor in this chicken dish! Adjust the chiles to your taste: add as many as you can tolerate! 2. Place chicken in an ovenproof baking dish, and place in preheated oven, and bake for 25 minutes. 3. Meanwhile, combine milk, canned chipotles, garlic, cumin, onion powder, and salt in a blender or food processor and puree until smooth. 4. Heat butter and flour in a large skillet and blend until smooth; add heavy cream and sour cream, whisking until smooth. 5. Stir in chipotle puree, and stir constantly until mixture comes to a boil and thickens; remove from heat. 6. After chicken has baked 25 minutes, remove from oven and drain any fat. 7. 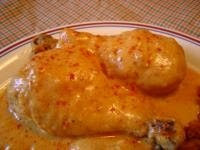 Pour chipotle cream over chicken and top with grated queso cheese. 8. Replace chicken in oven and bake for about 20 minutes more, or until cheese just starts to brown. 9. Remove from oven and serve with extra sauce spooned over chicken and garnished with minced chipotle chiles, if desired. 10. Goes good with steamed rice (and extra sauce on top). The title really says it all. This has a "praline" like topping and it makes it wonderful! Try it, you'll like it! This is undoubtably my favorite banana bread. 1 C chopped pecans or more if you like! Bake 45 to 50 min until bread pulls away from sides of pan. Cool. To prepare topping, melt butter in saucepan. Add sugar and milk. Cook until very syrupy. Remove from heat and add chopped pecans. Pour over bread, spreading to all corners and place under broiler till brown and bubbly. WATCH CLOSELY. DO NOT LET BURN! 1. Place all ingredients, in order listed in bread machine manual, in a 2-pound loaf capacity bread machine pan. Place pan in the machine. Set machine to 2-pound loaf, "white" cycle and "light" crust. Start machine. 2. If necessary to obtain a light crust, remove pan from the machine 5 minutes before baking is complete. Immediately, remove loaf from pan. Brush top crust lightly with melted butter or margarine; wrap loaf in a clean dish towel to cool. "Loosely based on a recipe from Sierra's website, 1999." NOTES : A soft, moist bread, reminiscent of my favorite "Apple Valley Bakery" oatmeal bread. I have shared how I like to send things through the mail. They are tangible life brighteners for the recipient. 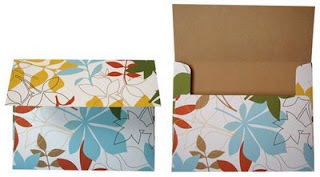 This site has a downloadable template to create these envelopes. I know my grandchildren would love to receive a letter in these envelopes using papers that reflect their interests. 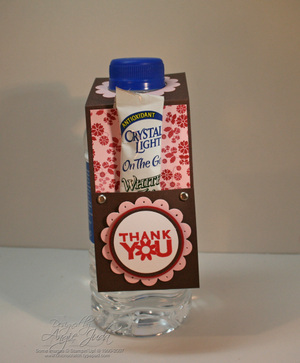 Click here for instructions and downloadable template. 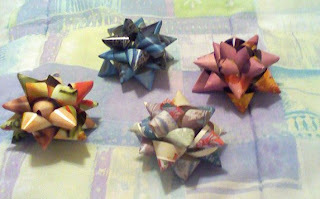 Gift bows from magazine pages! Remember back in the late 60s and early 70s the ribbon that you could wet (lick) and make all kinds of bows out of? My brother had a girlfriend that taught me how to do all kinds of fun bows and I had fun spending hours making bows for my gifts at Christmas time. They don't make that ribbon anymore! lol But I was surfing last night for bows, trying to find something different and look what I found. These beautiful bows are made from magazine pages. There is a complete picture and text tutorial at the site. I am saving this one!! Click here for tutorial. One of my board friends asked me after viewing my blog, "What? No Harley pictures?" lol. Guess she knows who I am! The initials "HD" in my screenname stand for Harley Davidson! I really was working to get there, just hadn't decided which picture to start with! So I think this one will do. This is "The Green Hornet" our Electra Glide and our Golden, keeping guard over it! I first got on a Harley with my husband in March of 1998. I had never been on a motorcycle before and yes, I was afraid! This is not the bike that we had at first. Our first Harley was a beautiful red Dyna Wide Glide with a postage size passenger seat! I got on that tiny seat with my much larger behind and held on. We drove out of the driveway onto the street and made it up to Military Rd and turned south. I hung on. Doug kept is pretty much at the speed limit. I was wearing jeans, a sweat shirt, a light weight jacket, socks and tennis shoes. I took a deep breath and I kept my mouth shut. (oh, I did have on a helmet! Law in Washington state) I liked it! I mean, I REALLY liked it. I still had a bit of a fear. Not of the way Doug was driving but from the other people on the roads. You know the ones that don't see motorcycles, the ones that are on the cell phones, the ones that.. well, you know! I held on tight. Then a little less tight. By the time we got to Edgewood and the end of Military road, we turned left on to Meridian. I knew I was hooked. I had said a few prayers on the back of that bike (and believe me, I STILL do.) I came to the conclusion that if it was my time, it was my time. And that the Lord didn't need me to be on OR off a motorcycle if it was my time. So I relaxed, sat back and went for the best ride of my life! Safety is not the absence of danger, it is the presence of the Lord. I am not a stereotype "bikerchick!" We have several good friends that we enjoy riding with and have made more friends along the journey. 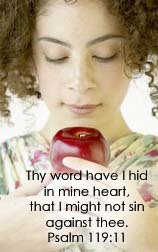 Did you ever make something that you said to yourself afterwards, "This is so good and simple! Why didn't I think of this?" Well, this is one of those recipes that you will make again and again. This recipe comes from another friend and great cook on the TOHBB - KateMarie. She is someone else that I know if she says it is good, I will agree. I now make this one a lot and everyone loves it! Place chicken pieces in crock pot. Sprinkle the garlic salt and onion soup mix over the chicken. Pour salad dressing and water over the chicken. Remove chicken and cool slightly. Shred chicken from the bones and return meat to crock pot. I have used all breasts and it still works. I think it is best with a combination of both thighs and breasts, though. I also have used boneless skinless and that is just fine also. Use different Italian dressings and I think you will be pleasantly surprised. I used a red zin italian once and that was wonderful. Unfortunately I have not found that dressing again! lol I have a bottle of raspberry vinigrette that I want to try with this next time. Sound good? I serve this on a bun with a dab of mayo and a slice of tomato. My daughter likes to add cheese to it. (my kids love cheese on everything!) With only two of this you can imagine that when I make it for just us I have lots of leftovers. I have made casseroles that call for chicken and tacos with the leftovers and I freeze it successfully also. Try it and I think you will be adding it to your "regulars." Good for those days when you are on the run with the kids to games, shopping, errands. Thanks again to my friend, Kate for a wonderful recipe! This yummy recipe is from Taste of Home. I love salmon. Fresh Wild Washington Salmon! YUM. I have grilled this on the BBQ also. Just a nice light salmon. :) Enjoy. In a bowl, combine the first five ingredients. Remove 1/2 cup for basting; cover and refrigerate. Pour remaining marinade into a large resealable plastic bag. Add salmon; seal bag and turn to coat. Refrigerate for 1-3 hours. Drain and discard marinade. 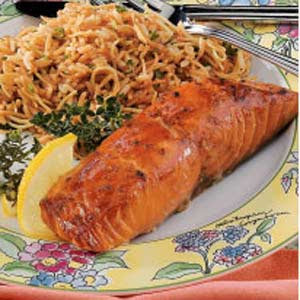 Broil salmon 4-in. from the heat for 5 minutes. Baste with reserved marinade. Broil 10 minutes longer or until fish flakes easily with fork, basting frequently. Yield: 4 servings. Every year after opening our gifts on Christmas eve (Santa's gift was saved for Christmas morning!) 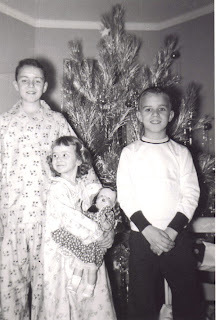 Mom would line us up at the tree and take a pic of us with our new goodies. Obviously this year we all got PJs! We have a lot of these pics for every Christmas, but I am noticing that the only ones with high school teens in them are me. LOL... the boys probably activated their independence MUCH sooner than me! These were wonderful days and memories. We weren't a large family, just the 5 of us. Our relatives lived in other states and money was tight so we weren't able to travel to see them or vice versa. But that was all we really knew and it was made special so therefore very fond memories! On Christmas eve, we would have Oyster stew for supper. It was a tradition. I hated it. And to this day that is the only tradition that I don't understand. When mom knew we didn't like it she still kept that tradition! lol. I am sorry to say that I never asked her why, but after I was the only one left at home, that tradition went away. After supper, we would hurry and clean up the dishes so we could get started! We would sit and sing Christmas carols together. None of us balked, thinking that was "nerdy"! Then time to TEAR into our presents. One present at a time, one person at a time, so that we could all enjoy seeing what the other had gotten. The BIG present was always saved for Christmas morning. That was the "magical" thing about Christmas! After the presents were opened we had a short time to play with our gifts, model any clothing we received and enjoy the homemade fudge that mom made. (Our Aunt Betty's recipe) Then time for bed! Wash up, brush the teeth, leave out a plate of cookies and milk for our much anticipated invisible visitor and jump into our snuggly beds to dream of his visit accompanied by 8 reindeer and one very special one with a red, glowing nose. I don't ever remember being disappointed. Not even the year that I was in second grade and my brother took me into my mom and dad's walk in closet and showed me my brand new Debbie Reynolds doll in a box on one of the shelves. Even though my bubble had been a bit burst at that point, still deep inside there was still that magic in my heart... maybe he really does exist. Kind of like when I was a high school student at Y camp and walking through the woods, carefully looking under the ferns and at holes in the trees to see if I could catch just one little glimpse of the fairies that lived there! Check out the crafts on this blog! 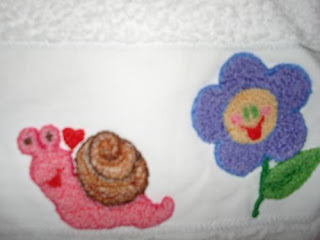 There are not directions that I know of and it is in Spanish, but there are some of the cutest craft items on this blog! Just too cute not to share! Click here. I told you, my friend, Linda - cllw from the TOHBB is the BEST! This is a lemonade recipe that she shared with me and I have made it a couple of times now that our weather has finally warmed up. It is DELICIOUS! Process first 4 ingredients in a blender until smooth, stopping to scrape down sides. Pour through a wire-mesh strainer into a pitcher, discarding solids. 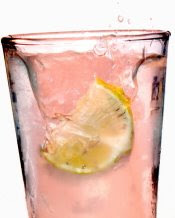 Serve over ice, and garnish, if desired. The summer months are upon us and drinking water is even more important in the heat. I found these recipes and information a great help. Please check out the Recipes at TipNut. It is a great site! Here was the guest of honor! Even the dog gets in the act! Do you remember YOUR very first friend? Why do Kids Grow Up?? Craft I want to do!